How long until my pieces are delivered? Delivery is usually 3-10 business days after purchase, depending on your location. How long until my pieces are ready for in store pickup? In store pick up of pieces will usually be available 1-4 business days after purchase, depending on stock and day of week. All pick ups require a person 18+ with drivers license to be presented for pick up. What are your store pickup hours? Store pickup hours are Monday through Friday 12 p.m. to 6 p.m. and Saturday 12 p.m. to 4 p.m. NO pickups on Sunday. Delivery to Orange county, Los Angeles county, San Diego county, Phoenix Arizona, Las Vegas Nevada, Chicago Illionis and surrounding areas is a flat $79 fee. Ventura county and san Bernadino county are a flat fee of $129. We now offer deliver to Tijuana call for quote. Outside of those areas please call for shipping quote. All deliveries require a person 18+ with drivers license to be presented for delivery. 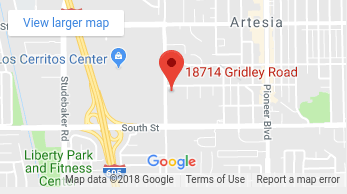 We have 3 convenient southern California locations at 18714 Gridley rd Cerritos CA, 90703, 8990 Miramar rd San Diego, CA 92126 and 6331 University ave San Diego CA, 92115. To pay by check or cash you will need to come into the store locations. Much of our furniture is assembled, but some of it is quick and easy to assemble. If you need a service to assemble your furniture, we suggest Impact Resource Group who can provide assembly services throughout most of the United States. Our model numbers are already programmed into their computer systems, so they can provide a quote quickly. Many of our customers simply forward their email order confirmations to them for an easy quote. For more details, visit http://www.furnitureassembly.com or call 1-800-978-2669 for an instant quote. Deliveries are to ground floors only. A signature is required at the time of delivery. An appointment by telephone is scheduled by the delivery company. Upstairs delivery can be arranged, please call for details. Can I get an upstairs delivery? Yes, for an additional fee we can arrange an upstairs delivery. We deliver to southern california only. For direct to you FREE shipping we only ship items within the contiguous 48 United States. In the rare situation that you experience damage in your shipment, please be sure to note it on the delivery paperwork you sign and contact us as soon as possible. We will arrange for a replacement or repair. If you cancel your order or specific regular stock items on your order for any reason, you will be charged a 10% cancellation fee on the items that were cancelled. Special order items cannot be cancelled for any reason. Furniture protection plans cannot be cancelled for any reason. If your items have been transferred to the store or for delivery a 30% restocking fee will apply on transferred items. Special order items cannot be cancelled for any reason. Furniture protection plans cannot be cancelled for any reason. If you cancel your order or specific regular stock items for any reason, you will be charged a 10% cancellation fee on the items that were cancelled. If your items have been transferred to the store or for delivery a 30% restocking fee will apply on transferred items. Special order items cannot be cancelled for any reason. Furniture protection plans cannot be cancelled for any reason. Yes, you would need to come into the store to see options and review options.